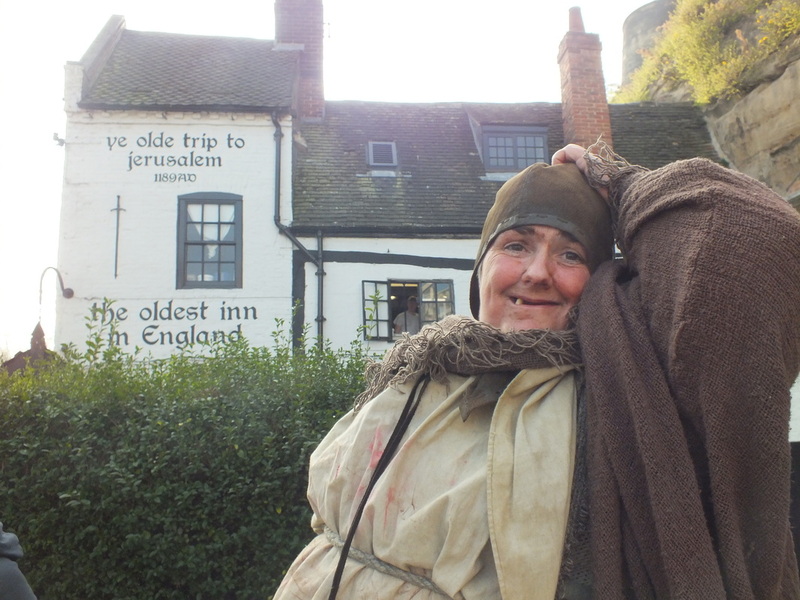 Join Madame Parboiled's award winning Historical Pub Tour and visit some of Nottingham City's Famous pubs. Take advantage of the offers with tour tickets. A great way for visitors and residents of our ancient city to explore its history and be entertained in some of the most historical buildings in Nottingham. crime and punishment, Sporting hero's strange residents and drunken monks in the Bell. Haunted going's on in the caves beneath the Salutation and Kings, caves, Castles and killers at the Trip to Jerusalem. Please use the request form below to book your tour. And please wear sensible shoes. Please book by 5pm on night or call 07773147271 . The Old Salutation at 8.00pm (Down in the caves below for Ghosts, Civil War, folk tales)and not to mention produce your tour ticket at the bar and get 25p off each drink. Great office night out or family/friends get together. Please use the contact form below to inquire. PLEASE DO NOT PAY FOR YOUR TOUR BEFORE YOU HAVE HAD A CONFORMATION EMAIL/TEXT AND A REQUEST FOR PAYMENT AS NUMBERS ARE LIMITED AND THE TOUR IS POPULAR. FOR REGULAR TOUR YOU CAN USE THE BUY NOW BUTTON AT THE TOP OF THE PAGE OR TAKE A CHANCE AND PAY CASH ON NIGHT. If you have an upcoming event or clients you would like to entertain after a day's business, then why not book a personal evening tour for your clients or even possibly one during the day.